It can be a hassle to find a different dentist for every member of your family based on his or her stage of life. The family dentists at OC Dental Specialists understand this. Our team of trusted dentists provide care for the entire family from infancy through advanced age. It’s their job to help you and your family members achieve excellent oral health through preventive dental care and prompt diagnosis and treatment of tooth decay and related problems. The American Academy of Pediatric Dentistry recommends that parents schedule their child’s first dental appointment by the first birthday or six months after the first tooth erupts. Like adults, children should visit the dentist twice per year for a cleaning and evaluation. These appointments give us the opportunity to advise parents on important issues such as nutrition, oral habits, and instruction on oral hygiene. Parents sometimes underestimate the importance of caring for their child’s primary teeth because they fall out to make room for their permanent adult teeth. Unfortunately, tooth decay and other issues affecting the baby teeth can have a long-lasting impact on your child’s well-being. Our staff provides you with instructions on how to care for your child’s teeth and then gradually shift that responsibility to him or her. Your child’s regular dentist may recommend additional services after a routine cleaning and evaluation. These could include a fluoride treatment, sealants, or a mouth guard to discourage thumb-sucking. As your child grows into the pre-teen years, we monitor his or her bite and tooth alignment carefully to determine if braces would be helpful in the future. 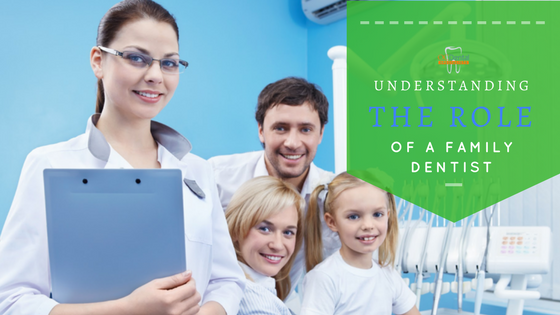 Our staff understands that many children feel anxious about the dentist and treat them in a kind, respectful manner to gain their cooperation. We’re here to make the visit as comfortable as possible for every member of your family.